Potty training was one of the hardest things I had done yet, when I potty trained my oldest son many years ago. I thought I would just buy him some Thomas the train underwear and tell him to keep them dry and that would be the end of it. Right. It took me three years to get him day and night trained. It’s a process. It was the same with our second son, Jordan. Then a year ago, I started to train my son Joshua. He has developmental delays and so I waited until he was three to even start the process. He was the hardest to train, because while he was willing to go through the motions required for potty training he failed to produce any results. I had never had a kid who just couldn’t “go”. It took us nine months to help him understand what to do to make it happen, and it has now almost been a year since we started and we are pee trained but not poo trained. It will be a while before that happens because he has a fear issue but isn’t verbal enough to explain what he fears, so I can’t really help. My youngest, who is about to turn three, trained himself in the process of my attempts to train Joshua. Elijah, was fully day and night trained by two and a half. But that is not the norm for potty training. It is a process. Since I know how hard it is to train a kid with developmental delays I am in no hurry to train our daughter. She is 11, but has intellectual disability and is currently not potty trained. They had been working with her at her school before we brought her home in December, but as we expected, she has regressed since coming home. I know that training her will be a long process due to her issues, and I don’t think we near the point of starting it. Attachment and adoption are also a process. Before you adopt, you read lovely stories of adoptions and how beautiful these stories are. 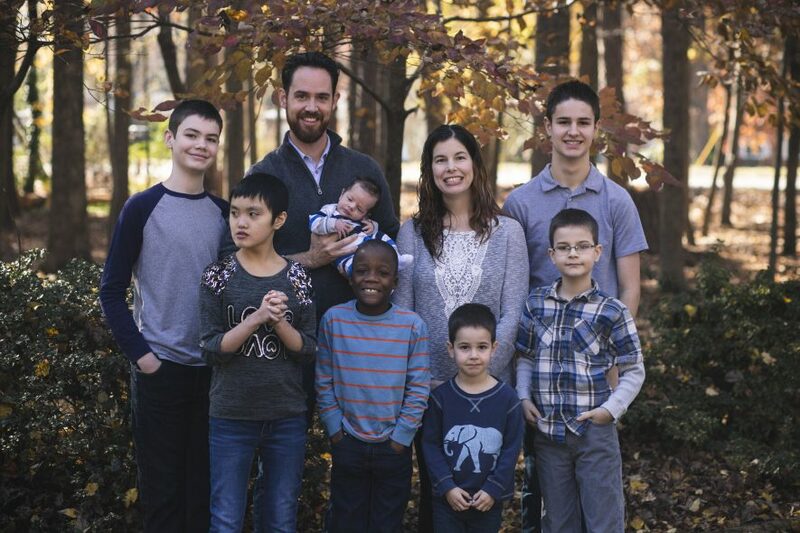 The family goes and rescues a needy child from a horrible situation and that child is forever thankful for the sacrifice his parents made to bring him home to his “forever family”. That might happen sometimes, although I doubt it. It fails to convey the idea that adoption is a process and not a destination. I read an article written by an adoptive mom recently who shared this idea that adoption is a process. It was such a revelation for me because I so wanted it to be otherwise. I didn’t expect it would be easy, but I also didn’t expect it to be this hard. The fact is we are at the beginning of a journey. The journey of paperwork and travel was hard, but nothing like this. We are making steps each day toward our daughter becoming a member of our family and allowing us into her world, but it takes time. Just as potty training for my kids took years in most cases, this too will take years. You have to see the small steps that you are making and celebrate those. Yesterday she let me play with her for a while without hitting me. She made eye contact for more than a few seconds. Those are a big deal. Today she is testy because of those gains, but we knew she would be. You cannot have progress, without a little aftermath. It is REALLY emotionally taxing for her to let us in and when she does she often lashes out later on. The way she has survived in the past is to keep people at arms length, literally and figuratively. It is her response to every new thing that enters her world. She doesn’t know how to trust because she has had so much loss. She cannot give up control for fear of being hurt. So, she views the world differently than we do. But little by little we make progress. It will not happen overnight, but I think that one day, a year from now, we will see how much progress she has made and we will be amazed. I don’t think we will have it all figured out by then, but I think we will have made some progress. I have read about so many other families who were courageous enough to admit their struggles and not perpetuate the lie that adoption is easy all the time. I am thankful for those families so that I can know we are not alone and that progress will be made, in time. It’s a process.